100th Recipe Giveaway – KitchenAid Mixer Giveaway – Food Blog Giveaway | Cook Eat Delicious! « Sandwich Petals Giveaway Winner! 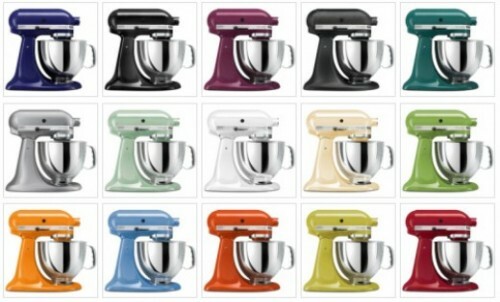 Win my favorite cooking tool: A brand new KitchenAid Mixer in the color of your choice! Just “Like” CookEatDelicious.com on Facebook and leave a comment on this post saying you have done so. Once we receive 1, site health 110 Likes on FB, check one very fortunate baker will be randomly chosen from the comments to win a KitchenAid Mixer! What about a KitchenAid Mixer?! Mine is irreplaceable, I love it so much and wonder how I ever mixed or baked anything in the kitchen before! 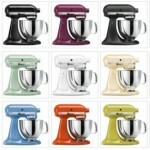 So I want one of you to win a KitchenAid Artisan 5-quart Stand Mixer from me here at CookEatDelicious.com! So tell your friends, your family, and anyone you know to Like CookEatDelicious.com on Facebook for a chance to win a KitchenAid Mixer that includes the 325-watt motor and 10 speed levels, a 5-quart stainless steel bowl, a pouring shield, and a flat beater, dough hook, and wire whip. This is a worldwide giveaway! 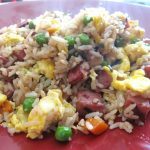 590 Responses to 100th Recipe Giveaway! I “liked” the site and “shared” this post on Facebook. There are so many beautiful colors, now! I ‘like’ CookEatDelicious.com on Facebook and shared your site and contest with all of my Facebook friends. I also have you listed on South of the Gnat Line! I “like” you on facebook. And I think your site is so awesome!! Thanks for a chance to win this awesome mixer!! I like you on facebook. What a fab giveaway. I liked you already! would love to win this mixer, I have one, but would give one of them to my niece who wants one really bad! I would really be the favorite aunt then! I am already a facebook fan. Hope I win this.. love the silver colour. I’ve left a comment. Congratulations on the 100th recipe! This is an awesome giveaway! Liked you on FB. I’ve wanted a black one of these for so long I can’t remember. Just can’t afford to buy one, thanks for the opportunity. You are “liked”!! What an excellent give-away … I hope living in Guatemala doesn’t exclude me!! Anne, this is a worldwide giveaway so you are included! Thanks for a splendid giveaway! Congratulations on your 100th recipe. Time flies!! I’m a current facebook follower (Rust Hawk). Spreading the word! I have liked you on Facebook. The colours are beautiful. I have liked you on Facebook for quite a while now. Would love to win this! I liked you on facebook. What a nice way to celebrate with you! I like Cook Eat Delicious!! I liked your CookEatDelicious.com facebook page! LIKED you guys on facebook!!!!!!! Sent by Rose and liked! Grateful for my friend Rose sharing your site. I liked your page. Godspeed on reaching 1100! Liked you on Facebook! That pecan coffee cake is so yummy! My hubby and kids love it! I have been asking for one of these for years, so kids here’s your chance to help me win one!!!! I liked your Facebook page and I’ve been reading on your website. What a great place to get new ideas! My Kitchen Aid is over 20 years old and if I do win a new one, I will donate my old one to someone who needs it. My ex-husband bought if for me and even though we divorced, I couldn’t give it up. It works wonderfully well, absolutely no issues. I just wish it wasn’t green or from him. I “liked” you on Facebook. Great idea. I had never seen your page until a friend posted. Now I’m sure I’ll use it often. Liked. Definitely! Congrats on the 100th recipe! I love to bake!!! I love to eat baked goods! I think that baking is the sweetest way to say I love you to anyone. I would love to win this mixer but not for myself.. My best friend has a growing home cake decorating business. I would love for her to have this..She brings such happiness to many different occasions with her beautiful creations..This would be a wonderful tool for her trade.Great ideas on your blog! Making my mouth water.. Good Luck with your giveaway! I really could use one of these! I have an old mixer, but I don’t have one with a stand and mixing bowl. I hope to win! I will share this giveaway and I already like CookEatDelicious. Congratulations on your 100th Post. I already like your Facebook page would love to win the kitchen aid, the white one. What a generous giveaway! Liked! Truly like your site! I liked you on facebook. Thanks for the opportunity to win a Kitchen Aid mixer!!! Liked you on Facebook. and thanks to Rose Bakes on FB for letting us in on this. I am now a fan of CookEatDelicious.com!!!! Just liked ur page on fb. Wonderful blog u have got.. Already liked you on facebook! Would love to win this baby since its not available here! Like you on FB…. #424! i liked u on FB.. nice i always wanted to own one…. winning in importannt not the color. Like your FB page! Erin Cox on FB 🙂 Thanks for the chance! I liked your FB page! Thanks! Thanks for the awesome giveaway. I really appreciate how easy it was to enter too! I’ve liked you on facebook. Have shared on Facebook friends/immediate family and close friends. Liked you on FB. Congrats! I like you on Facebook! Name is Caroline Morin or caroneko82. Wonderful giveaway .. liked you on fb. Liked you for a chance to win. Thanks. I “Liked” The site on facebook! =) Good Luck to EVERYONE! I liked you and will try one of your recipes for the first time tonight. Liked on Facebook. What a stylish looking mixer this looks. CONGRATULATIONS! I found your lovely blog thankss to Jacqueline of Tinned Tomatoes. I have liked you on FB, now off toexplore your space. Thank you so much for such a generous giveaway and worldwide too. I liked you on FB. This is a great site!!! Congratulations for your 100th recipe. Just one like for this beautiful giveaway!! I hope to get it… as I have already liked you on facebook and thats not all, I have told my friends too to like..so you can reach 1100 likes soon. Congratulations on your 100th post! Kudos to you! If thr were a option to SuperLike u on fb, would haf done tat too fr d kitchen aid mixer :).. N m sure you’l get many more likes than mere 1100.. Liked you on Facebook!kitchen aid mixer is in my wish list!thanx for the giveaway..
Wow! I’d love to win a Kitchenaid mixer. It’s been on my wishlist for quite some time now but I still haven’t saved enough for one. I’ve been using a KitchenAid hand mixer and it’s starting to give up on me already. One of the attachments keep on falling off. 🙁 Ihope I’ll be lucky enough to win one. Thanks for the chance at winning. I love all the different colors. I liked on Facebook. Name is Diana Luna Camden. Liked you on FB and TY for the chance to win the mixer! Oh I wish this was for Australia!! Such a dreamy giveaway!! Well yeah I liked ya! i liked it of course! I liked your page and would love to win the kitchen aid mixer!!! 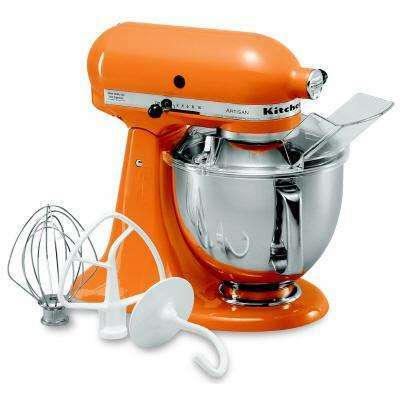 I like your page on FB and I would LOVE to win an orange mixer for my mother-in-law…she’s wanted one for years! I clicked like at CookEatDelicious.com on Facebook is there anything else I need to do? I liked you! What a great giveaway! My “website” is my facebook profile just so you know who I am on there. Congrats on hitting milestone…..Wishing your space tons of yum luck….Keep rocking…. Liked 🙂 …..thanks for all the great recipes and tips! i liked it dear! thank you!! Liked it on Facebook. I’ve always wanted one of these. Congrats on your 100th post. Excellent give away. Liked you on FB. I like you on Facebook and commented on your wall. Congratulations! I liked and think I love you too for this awesome giveaway! It would be grand to cook delicious with a new KitchenAid Mixer. First time visitor to CookEatDelicous and I will be coming back. You have some wonderful recipes that I can’t wait to try. Oh – almost forgot: I did “like” you on FB. Liked you Facebook , great give away! Im a fan on facebook!!! Liked you on Facebook! Great giveaway, by the way! 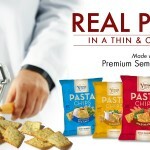 I liked CookEatDelicious.com on Facebook. I am looking @ your recipes and will be trying some of them very soon! Liked you on facebook! Would LOVE to win this! Likes on facebook, tweeted, googled plussed also.What a wondergul giveaway. 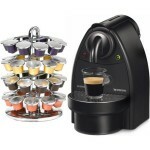 I’ve just Liked you on Facebook,I love the blog and I do hope I win the Kitchenaid !! Hi this is such a wonderful giveaway. Hope to win ..lovely blog. Clicked like on Facebook – great prize! I like you on facebook! And congrats on your 100th recipe! Liked you on Facebook. LOve the cherry coloured Kitchen aid. Congrats on your 100th recipe post!! Liked this on facebook and def like the mixer! I liked this on facebook! What an awesome mixer! Lovely machine. I think I may actually give up my first born for one of those. Only joking, but it’s a machine to be inspired by. Hi, asthis is worldwide, is someone wins from the UK do you get it from Amazon UK or something as we have different voltage/plugs? Liked you on Facebook. Oooo I hope I win! Fantastic giveaway! I liked you on Facebook. Wow this is a fantastic prize thank you. Loving liking and sharing you post on FB. What a fabulous prize !! Fab giveaway. I am a fan of Fb and spreading the word. Also have pinned on Pinterest for friends there to see. Well done on your success and tips so far. Liked 🙂 Fingers & toes crossed. Love the Orange and the Red.. tough so many great colours .•♥• liked, shared •♥•. already liked the facebook page – what a lovely giveaway! liked in FB and wonderful giveaway……. Liked on fb me please! liked you on fb 🙂 These mixers are the most gorgeous of all! “liked” the page. Always great to get more food inspiration! Have liked you on facebook. Would love to win one of these mixers! I have liked facebook – great site and wonderful prize! would love to win a kitchen aid mixer So well made and come in lovey colours Liked you on FB. I’ve liked on facebook, wow what a prize – I am drooling over which one i would choose! Love the selection of colours! Liked and shared. Cheers! Have liked you on Facebook. What a great competition, so many lovely colours to choose from! Have liked on FB and have my fingers crossed! I have liked you on facebook. Love these mixers. Liked on facebook! Who can resist random interesting recipes and I really could use a mixer, am stuck abusing my smoothie maker for the time-being! liked you , love the amazing colours. Oh such a lovely giveaway! I have liked on facebook. I’ve liked the facebook page and shared it! Thanks for the competition! Eeeek! Have always wanted a kitchen aid!! Have liked you on facebook. Liked on facebook – wish there were a LOVE button! Liked you a while ago anyway!! And LOVED your Lemon Bar recipe. Will be making them again today as a matter of fact!! Have liked! Would love to win this. Am a new liker 🙂 Fantastic! Liked. What a lovely prize! like and shared your page, what a fab mixer! I’ve liked you, and I really really like these mixers!! I could see myself putting on a few lbs if I won this! Fab prize! Liked and shared on Facebook. I love your lemon bread recipe just gorgeous. I actually think it tastes even nicer after freezing and defrosting, really moist. have liked on facebook – I am a new liker! Congratulations on your 100th recipe and here’s to another 100. Liked and shared on facebook. Wow amazing prize – would love this. Have liked you on facebook and can’t wait to see your updates. Liking you lots on facebook! Me! Me! Pick me! 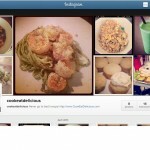 “liked” your blog, and like it a lot–can’t wait to try some of these recipes. Wow, what an amazing prize! I’ve liked and shared on Facebook. This has been the top of my wishlist since forever! Liked and facebook and loving this prize. My husband has been begging me for one of these for months!! love to win this, all the allotment produce will be whisked into magical food to eat. Hello, I’m a liker on Facebook! Gorgeous! I’ve always promised myself a Kitchenaid but I can never afford one! This would look just perfect in my soon-to-be-completed new kitchen. I wonder which colour I’d choose?.. I have liked (and shared) you on Facebook. I have liked you on facebook and the lemon bars sound wonderful, I must look it up! Liked! And I’d choose the orange one. They are all totally awesome! but if I had to pick a colour i think it would be the red one, but they are all great, i would be over the moon to own any of them. Liked! Congratulations on your 100th recipe! Congrats on 100 recipes. Have liked your facebook page. Off to have a look at what I can get baking! Think every baker would love a KitchenAid – especially this one! Here’s to your next 100! i have liked. all colours are amazing, would be spoilt for choice if i won. Where have you been all my life?! Like – a LOT! This would be such a great prize to win, especially as I love baking! I have liked you on facebook and very much enjoy reading your pages! Liked on Facebook,great prize,lovely choice of colours!! Would love to win. I have liked on facebook. Liked on Facebook. If I win I would love the purple one!! Liked you on Facebook bakers! Liked and shared 🙂 Fab prize!! congratulations on the 100th recipe! I have liked the page and crossed my fingers!! I just liked you as well. Thanks for this amazing resource, and I just love your photos. 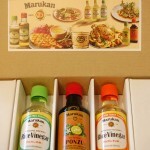 Liked on FB, what a fab prize to win, lots of great recipes to try out! Just saw the announcement on FB .. I have liked your facebook page and will keep my fingers crossed in luck! Its a wonderful Give away.. Glad to like your page on facebook ..
Love it…Want it…Hpoe to win it!!!!!!!!!!!!!!!!!!!!!!!!!! liked on Facebook, tweeted as @compforumsUK and my comment here – what a fantastic prize ! Fabulous prize. I’ve liked on Facebook and shared with my family and friends. Wow, there sure are a lot of comments! I love the orange mixer. I have liked you on FB, (Angela Kate Webster). These machines look amazing. Congratulations on the 100th recipe! Hope there’ll be many, many more! I liked you on Facebook. Tetszett Önnek Facebook. Eu gostei de você no Facebook. Mimi walipenda wewe katika Picha. I am a fan on FB – fabulous prize!! Have ‘Liked’. So many gorgeous colours! Would love this in my kitchen. Wonderful prize! One of these beauties would improve my cooking & baking no end! I have liked you on Facebook. I have always wanted one, hope i win! I liked u r FB page. Congrats for 100th post. Fabulous prize. Great prize – would love to win! I liked you on Facebook and am leaving my comment here. I really do like your web site-I have gotten several outstanding recipes from you.